We have a range of stylish and spacious function suites for your wedding day, whether you have in mind an intimate gathering or a grand celebration, and our secret Walled Garden for your drinks reception if you choose. The award-winning Gallery 26 is a stunning, unique, modern function room with contemporary decor, mood lighting and a huge feature glass wall through which can be seen the architectural splendour of the adjoining Tavistock Abbey Chapel. A perfect combination where old meets new. 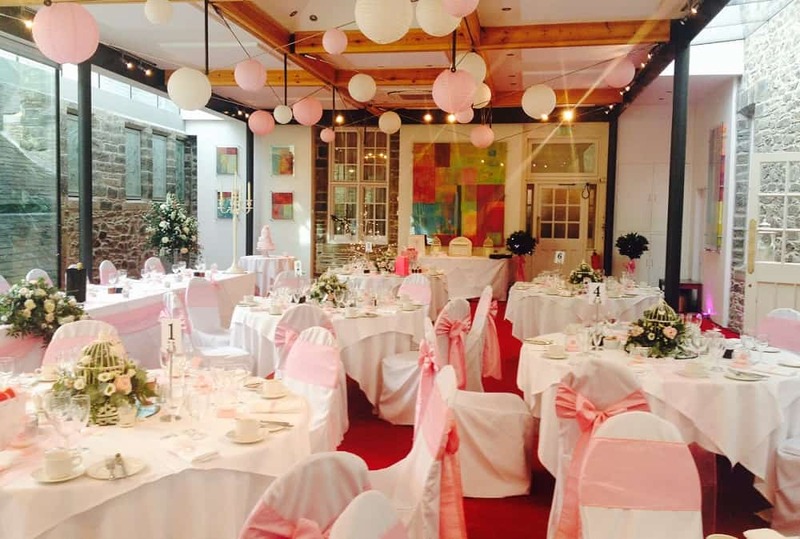 Gallery 26 can comfortably accommodate 100 guests for a classic sit-down wedding breakfast, or up to 150 guests for an informal evening reception, and has a dance-floor. 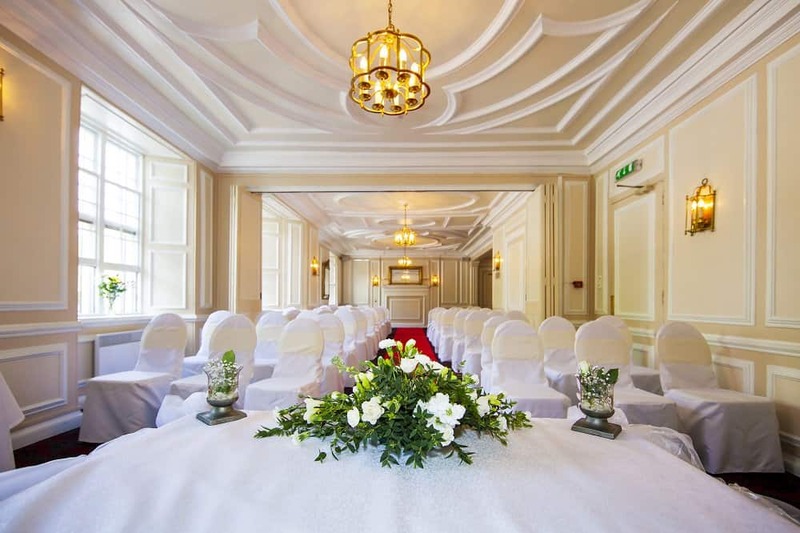 The Woburn Room can accommodate up to 90 guests for your civil ceremony. This historic room, with attractive views to the front of the hotel and the church beyond, has wood panelling, elegant lighting, and an historic fireplace with antique mirror above. 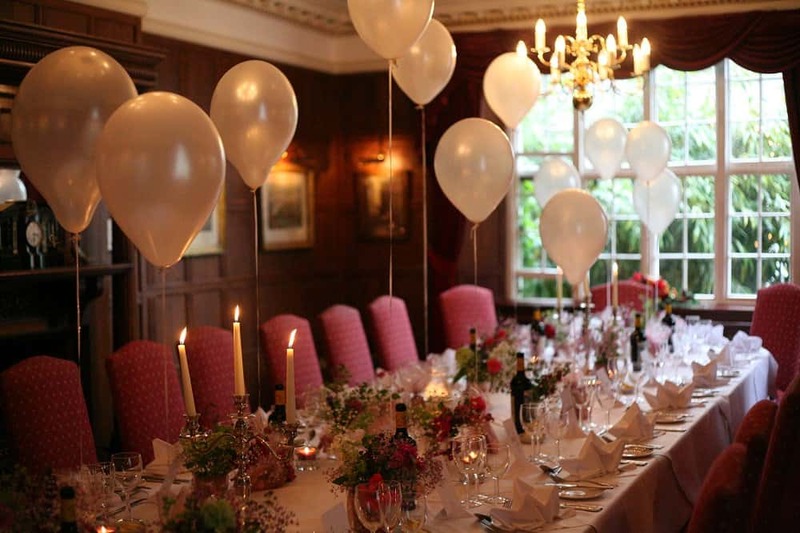 The Tavistock Room is your venue for an intimate Wedding Breakfast for up to 24 people. This atmospheric oak-panelled room has an ornate fireplace and hand painted ceiling recreating the elegance of a bygone era.